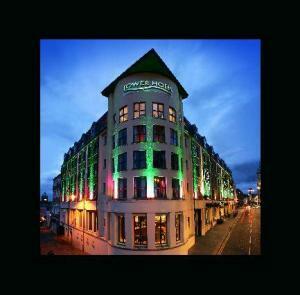 Choose from 20 hotels and guest houses in Derry. Shown below a just a selection of the hotels available. To search within an area please use the menu on the right. 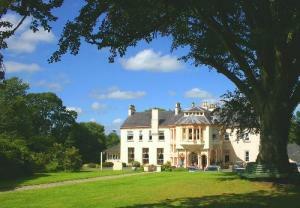 Situated in the Roe Valley, this hotel is set amongst spectacular scenery and near historical sites. It also the perfect place to stay for anglers. Your comfort and relaxation will be complemented by good cuisine and a friendly atmosphere, where nothing is too much trouble to ensure an enjoyable stay. Well-appointed, en suite rooms include a luxurious executive suite. The Drummond Hotel is a family run hotel, offering you the opportunity to rest and recharge the batteries in a warm atmosphere. In the heart of Derry, this newly established AA 3-star approved bed and breakfast boasts panoramic views of the city and city walls from the rear bedrooms. Serendipity House was named as 'One of the 12 Best Bed and Breakfasts in Britain' by the Times London Newspaper. It has a spacious decking area and dining room and is less than a 5-minute walk from the city's bars, restaurants, shopping centres, cathedrals and historic walls. 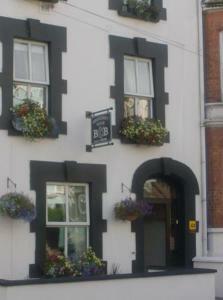 The bed and breakfast offers comfortable, modern accommodation. 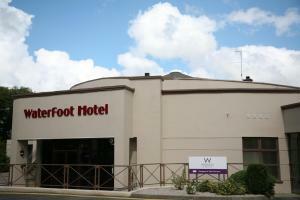 All rooms include Wi-Fi wireless internet access and luxurious 5-star standard beds. 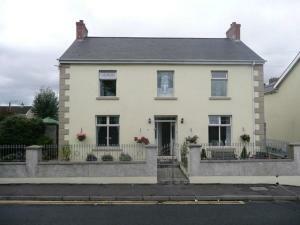 Refurbished in 2009, 19th-century Rose Park House provides comfortable, modern bed and breakfast accommodation. There is free secure parking and free Wi-Fi internet access. Rose Park House provides spacious and well furnished rooms with stylish en suite facilities. Contemporary facilities include a digital TV and a DVD player. There is a spacious lounge and dining room. Guests may relax in the garden and patio area. An inclusive full English breakfast is provided. Rose Park House is 5 minutes' from charming Derry, with its many bars, restaurants, shops, theatres and museums. This 4-star 18th century country house hotel is situated in the countryside, just a short drive from Derry city centre and within reach of the City of Derry Airport. Beech Hill Hotel is situated just outside the historic walled city of Derry, perfectly placed for visiting the city and exploring the surrounding countryside. The hotel aims to combine all the best traditions of a country house hotel; offering elegance, charm and genuine warmth and hospitality. 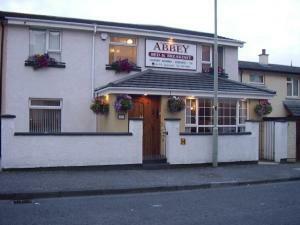 The hotel is famed for its tranquil atmosphere, 4-star accommodation and superb dining at its Ardmore Restaurant. 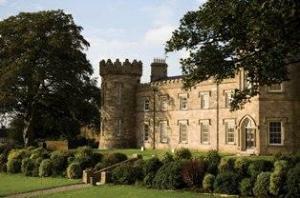 Located just 2 miles outside the city of Derry, warm Irish hospitality awaits you at this elegant country house hotel. 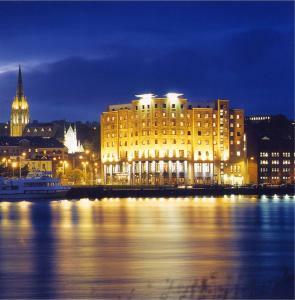 Derry is Northern Ireland's second city and is situated next to the rugged beauty that is Ireland's County Donegal. The stunning scenery and good quality accommodation makes Beech Hill Hotel perfect for an enjoyable country break. In Derry city centre, just outside the historic walls, Sunbeam House offers charming guest house accommodation and a warm welcome. This family-run bed and breakfast is just 5 minutes walk from Derry's main shopping centres, restaurants, bars, theatre and cathedrals. The bus and train station is just 10 minutes' walk away. All of the rooms are cosy, comfortable and homely. The rooms have TVs and courtesy trays, and each room is centrally heated and comfortably decorated. Every effort has been made to retain the original character of the property, while also offering modern amenities at affordable prices. A generous and tasty full cooked English breakfast is included in the price. Please note that no breakfasts are served during the Christmas and New Year season. In the heart of Derry, Angel House is a newly established bed and breakfast close to the culture and bustling nightlife in the city. In less than 5 minutes you can reach the historic city walls where you can admire the outstanding scenery, the cathedrals, or Bogside with its famous open-air gallery. 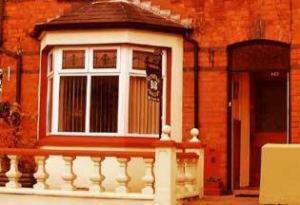 Angel House offers comfortable, modern accommodation that is AA 3-star approved. All rooms include tea and coffee-making facilities. In quiet, attractive mature gardens, a short walk from thetown centre, this luxury detached bed and breakfast offers stylish and well-appointed rooms with flat-screen TVs, DVD players and free Wi-Fi. Just a few minutes' walk from the heart of the small charming town of Ballymoney, the Pinetrees Bed & Breakfast has a quiet, peaceful location, within easy reach of the A26. The location is great for visiting the stunning coastline of County Antrim and County Londonderry, as well as the Giant's Causeway, Bushmills Distillery and Dunluce Castle. For keen golfers, there are many famous links and parkland golf courses within easy reach, including Royal Portrush. Free private on-site parking is available for guests. All of the stylish and modern rooms have flat-screen TVs, DVD players, hairdryers and hospitality trays. A generous full cooked breakfast breakfast is included in the price, with a wide range of options available. Locally sourced free-range, organic produce is used wherever possible. 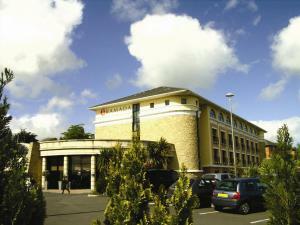 The Derry Travelodge is in the centre of Derry, with good-value rooms and a bar-caf?. 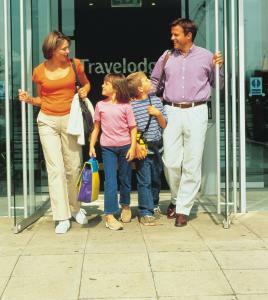 Designed to meet the needs of today's budget-conscious guest, the Derry City Centre Travelodge gives you the things you need, without making you pay for things you don't. All rooms at Travelodge Derry offer large beds and comfy duvets. Hairdryers and irons are available on request from reception.